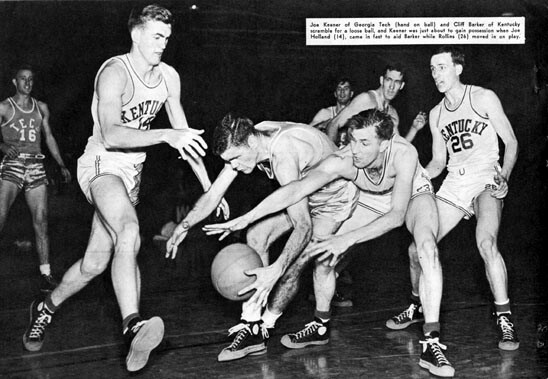 Joe Keener of Georgia Tech and Cliff Barker scramble for a loose ball while UK's Joe Holland (14) and Kenny Rollins (26) move in. 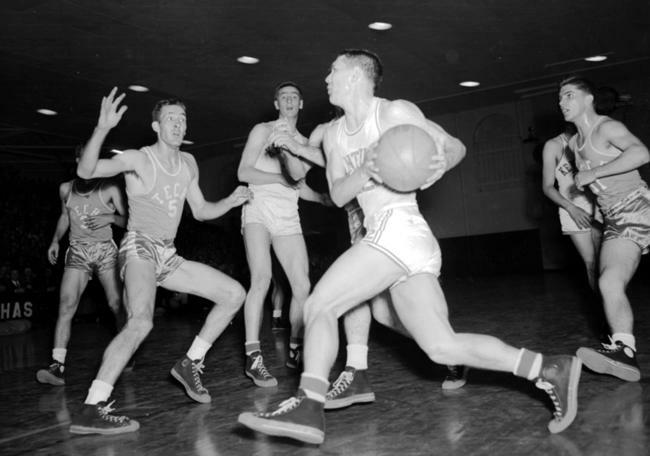 Return to statistics, team schedules, team rosters, opponents, players, coaches, opposing coaches, games, officials, assistance, Kentucky Basketball Page or search this site. Please send all additions/corrections to .